The wicked word game goes to a new frontier! 21 Mad Libs to fill in your own way, based on the Star Wars films and featuring unique LEGO art! 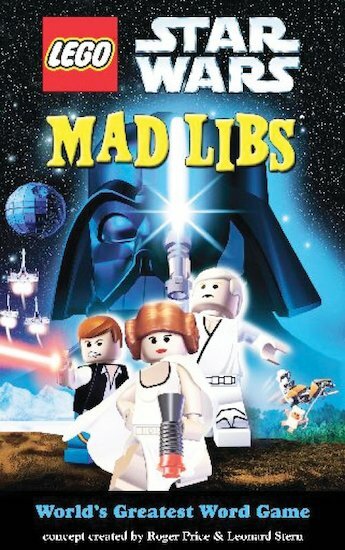 This fantastic twist on the much-loved Mad Libs concept lets you fill in the blanks in heaps of exciting Star Wars stories, rewriting them your own unique way. You can make them funny or thrilling, scary or plain silly – and you’ll learn all about nouns, verbs and adjectives too!